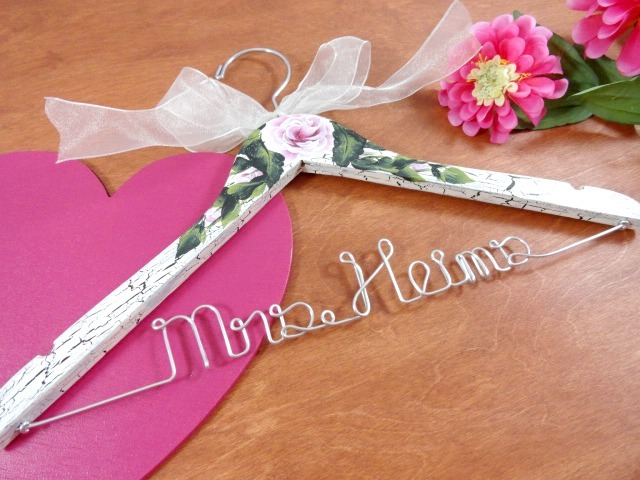 AMY'S ORIGINAL BRIDAL HANGERS: No Wire Hanger Sale Today! No Wire Hanger Sale Today! Many may not realized that I also offer "No Wire" hangers too. They are a little cheaper and still very nice. They can be painted and personalized to fit your needs. 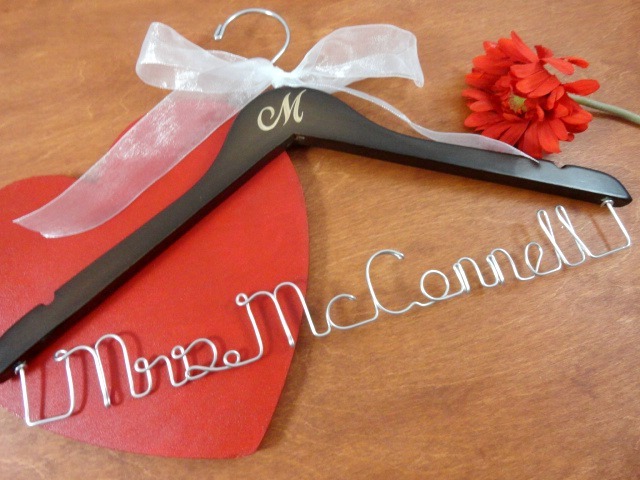 They also make very nice photo props just like the "Wire" personalized hangers. They are being offered today for 10% off the normal price. If you buy one without a matching glass, they normally run $15 plus shipping. If you want a wireless hanger and glass to match, they are also on sale today. You may select a design shown, or have a new one created just for your! If you see a design that you like, but isn't listed with a glass, or is listed with a glass and you want just the hanger, a custom order may be set up for you. This hangers are nice for lingerie too. 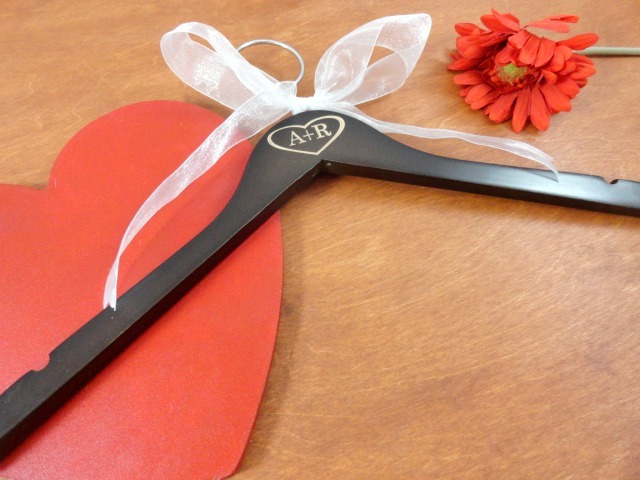 They make an awesome bachelorette or bridal shower gift. They are something unique and fun. Animal prints are fun too! Bring out your wild side!! These sets would be great on a honeymoon wouldn't they? All you need to add is the lingerie! Place your order today to receive the 10% discount.